The Econo Lodge hotel in Eugene, OR near Eugene Airport is an easy stop on the road. Nearby destinations include Cascades Raptor Center, King Estate Winery, Hayward Field, Museum of Natural and Cultural History and Conger Street Clock Museum. University of Oregon, Hult Center for the Performing Arts and Autzen Stadium are also close. Enjoy amenities like free continental breakfast, free WiFi and bus, truck and R.V. parking. 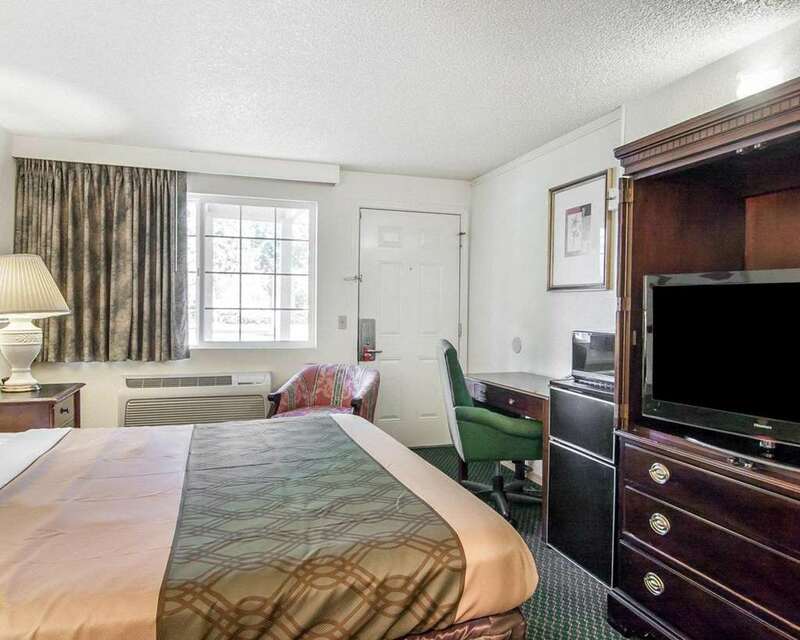 Guest rooms include a coffee maker and TV while some rooms feature a refrigerator and microwave. Also, earn rewards including free nights and gift cards with our Choice Privileges Rewards program. No pets allowed.